TSP Legal Organ Donation - Have you made your wishes clear? TSP Legal > News > General News > Have you made your wishes clear? If the unthinkable were to happen and you died suddenly, if appropriate, the hospital will approach your family to ask if you wanted to donate your organs. How would your family respond? Do they know how you feel about the subject? A simple conversation can make a difference. This week is Organ Donation Week. 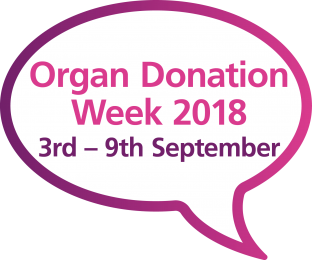 From Monday 3rd – Sunday 9th the NHS are running a campaign to encourage people to talk about organ donation and make their wishes known to family members. Currently three people die every day in need of an organ transplant, often because families haven’t discussed the subject and don’t know whether to consent to donation on behalf of their relative or not. In Essex alone there are currently around 120 people on the transplant waiting list (Source: NHS Organ Donation). If you wish to donate your organs on the event of your death you need to make your wishes known to your family as they will always be approached about donation. Knowing your wishes will help your family support your decision at this difficult time. How can I make my organ donation wishes known? If you wish to donate your organs, signing up to the organ donation register is a simple and easy process which can be done online. All you need to do is fill out a form with your details and preferences. You can find out more about joining the organ donation register here. Another way to ensure your wishes are carried out is to make a Health and Welfare Lasting Power of Attorney (LPA). Making a Health and Welfare LPA allows you to appoint someone to act with legal authority on your behalf if you lose the mental capacity to make decisions for yourself. A Health and Welfare LPA allows you to express wishes regarding life-sustaining treatment and organ donation. But even if you have signed up to the register, and/or made an LPA, it is still important to make your wishes known to family members, to make it easier for them to follow your wishes. For more information about Organ Donation Week, please click here. If you would like advice or information on this topic or would like to discuss making a Lasting Power of Attorney, please contact a member of the TSP Wills and Estates team on 01206 574431 or by email at info@tsplegal.com.